Hi been a long time since I posted anything on my home and need to do some up-dating!. I have wanted one of these chairs and stool for along time and finally found one on ebay and managed to buy it. It's in the right colour too as they do not produce black anymore. Yipeee.. Its very comfortable and not as big as you would think. 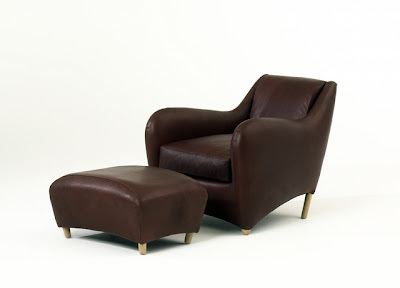 SCP Balzac Armchair by Matthew Hilton. A seminal piece of furniture designed by Matthew Hilton. Solid beech frame with steel springs and elasticated webbing, covered in multi-density foam with feather cushions gives medium to soft support. American Oak legs. A contemporary piece with organic form, upholstered in beautifully soft, full-aniline leather. 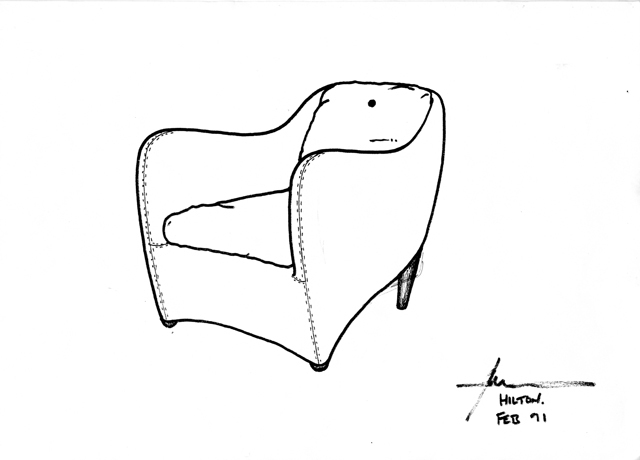 "1991 SCP make their first upholstery piece, the Balzac armchair by Matthew Hilton. The chair initially receives mixed reviews, but goes on to become the biggest selling SCP chair of all time, something of an icon, included in the well known Taschen book “1000 Chairs” and a permanent resident at the Geffrye Museum, the Museum of the English domestic interior. Other design of the year at the Auberon table by Matthew Hilton and the Bishop table by Konstantin Grcic." Taken from SCP's History on their website. Matthew Hilton (1957- ) is a British furniture designer of modern furniture. Hilton attended Portsmouth College of Art and then Kingston Polytechnic. After graduation he was an industrial designer and model maker until 1984. 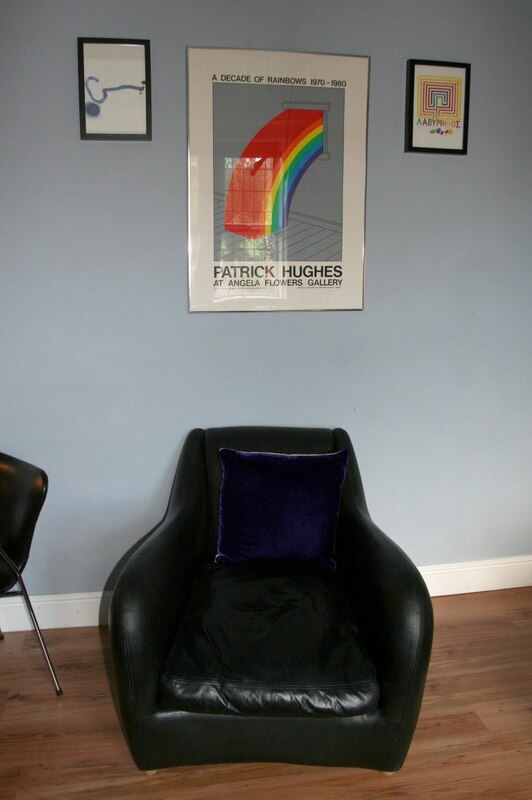 In 1991, he designed the "Balzac Armchair" for SCP Limited a company started by Sheridan Coakley in 1984 and now based in Shoreditch, London. His furniture is held in the permanent collections of the Victoria and Albert Museum, London, the Geffrye Museum, London and the Manchester City Art Gallery. He was elected a Royal Designer for Industry (RDI) in 2005. In 2007 Matthew launched his company Matthew Hilton Limited.